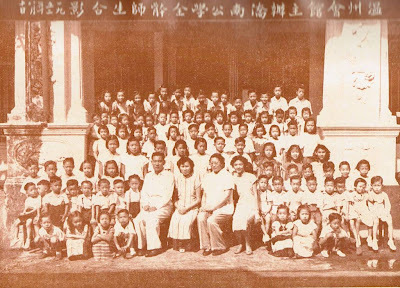 1933 Kiau Nam School first started in a rented house at Lorong Koo Chye with 20 pupils under the first principal, Mr Wang Xiyuan. 1938 The school, with an enrolment of 85 pupils, moved to Lorong Tai Seng when the owner sold off the previous school premises. 1940 The Board accepted Director Liang Jinhui's offer to sell his own attp house in Paya Lebar Road and renovated it to become a school. 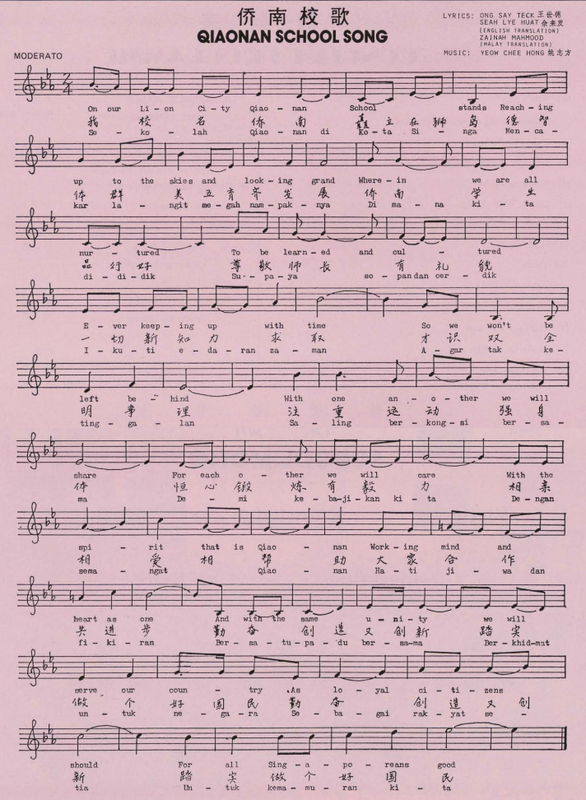 1942 Japanese Occupation. The school was closed. 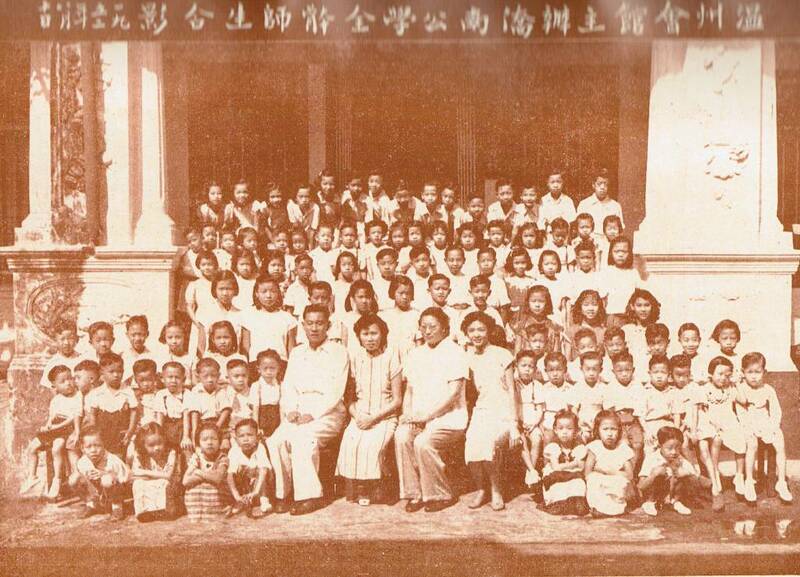 1945 The school was officially re-opened at its original site in Paya Lebar Road. Mr Wang Yihui was appointed as principal. 1946 Registration of the school with the Department of Education. 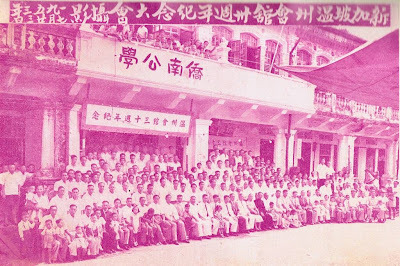 1957 Kiau Nam School became a government-aided school. 1958 The Lorong Koo Chye Temple Committee allowed the school to temporarily convert the covered stage to makeshift classrooms to cater of the increased population of 480 pupils. 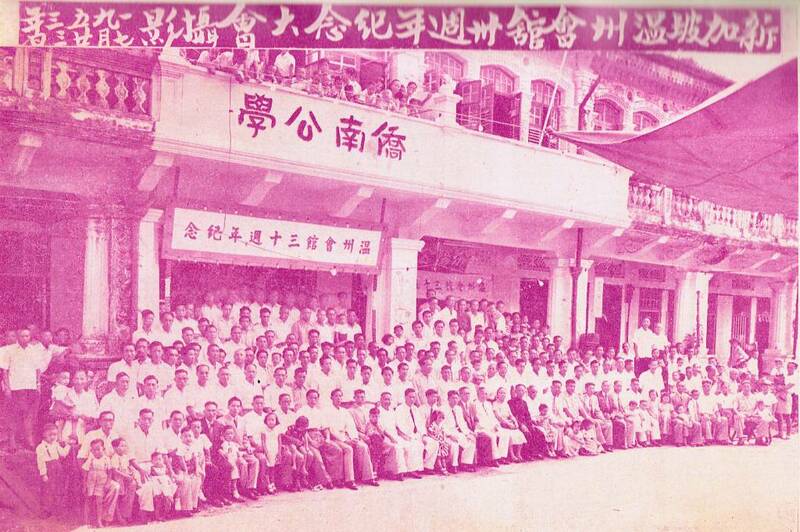 1959 Mr Huang Shide was appointed as principal. 1962 An Opening Ceremony of the new building was held. The school has 15 classes and an enrolment of 566 pupils. 1985 Kiau Nam School was re-located to 15 Tampines Street 11. It was officially re-named Qiaonan Primary School. It became a goverment school offering English as the first language and Chinese and Malay as second languages. There were 747 pupils and 25 teachers from 20 different schools. Mr Huang Shide was the principal with Mrs Chua Woo Mee as the vice-principal.